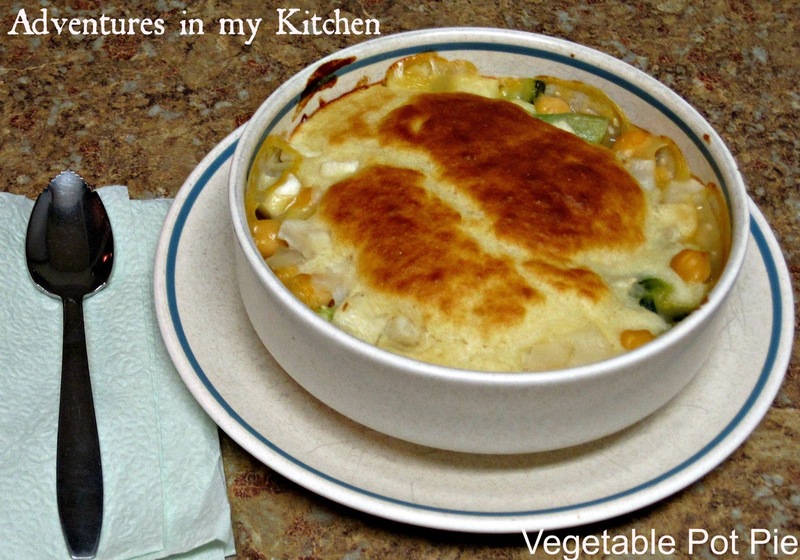 theFoodette & Family: Vegetable Pot Pie- quick, easy, and no condensed soup! 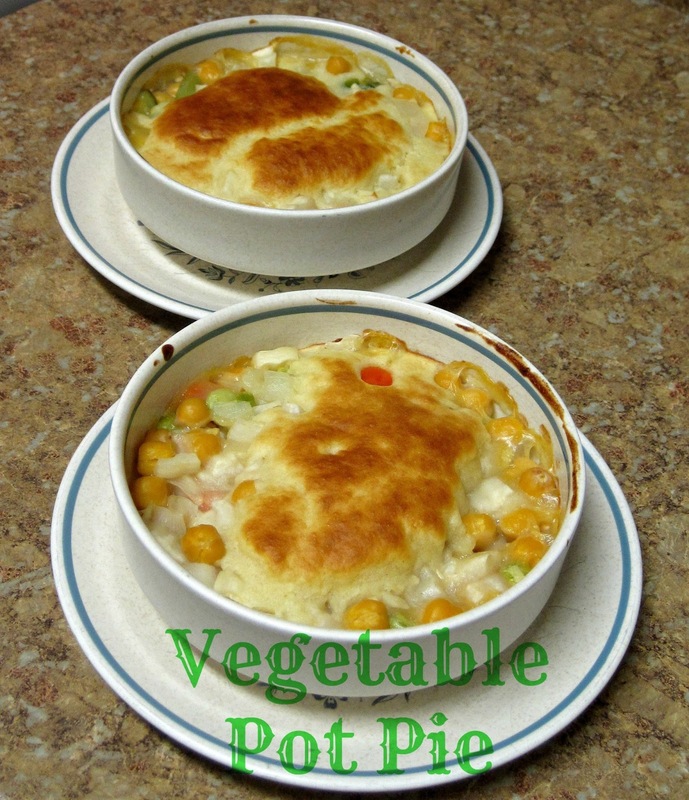 Vegetable Pot Pie- quick, easy, and no condensed soup! 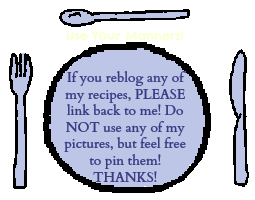 I'm back from my bloggy- vacay and have a few yummy posts lined up for y'all! It was a good break, not one I really planned on taking, but c'est la vie, huh? I really haven't been doing a whole lot of cooking the past couple weeks. I came back into town Wednesday afternoon from a small spring break getaway and went straight to my sister's house for dinner. Yesterday I spent the entire day cleaning, organizing, and making a Goodwill pile in my closet..... just my closet. The whole day. yeesh. Today I must tackle the rest of my tiny apartment but I wanted to share my Pi-Day creation with you first! 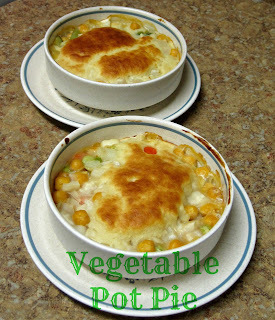 I loooove pot-pies. They're super delicious, but super unhealthy. For this reason, I haven't had one in forever... until yesterday! I was going through my "Food- need to make" board on Pinterest and saw the "Chick Pea Pot Pie" recipe I pinned forever ago. I checked out the ingredients, noted a few changes that would need to be made for what I had on hand, and decided that that would be dinner! I love that there's no cream of condensed anything! It's just full of veggie-goodness! 1 cup frozen vegetable mix of your choice- I used "mediterranean"
Preheat oven to 400*. Grease 4 ramekins, or 1 pie pan. In a large sauce pan, saute onion and garlic in EVOO over medium/high heat for ~5mins. Sprinkle in flour and mix slowly. Then slowly pour the broth whisking well. Cook this on medium heat until thick and bubbly. Add veggies, chick peas, and Tabasco- heat through. In a separate bowl, combine baking mix, milk, and 1 egg. Mix thoroughly. Let sit for 3-5mins. Pour filling mix evenly into ramekins/pie pan. Top with baking mix (baking mix will look a bit runny, but it'll bake just fine). Bake for 10-12mins for ramekins, 22-25mins for pie pan. Ooo, sounds like a good weeknight meal. I like non meat meals sometimes. Thank you for sharing.